A Porous Revolution for a Feltham School! 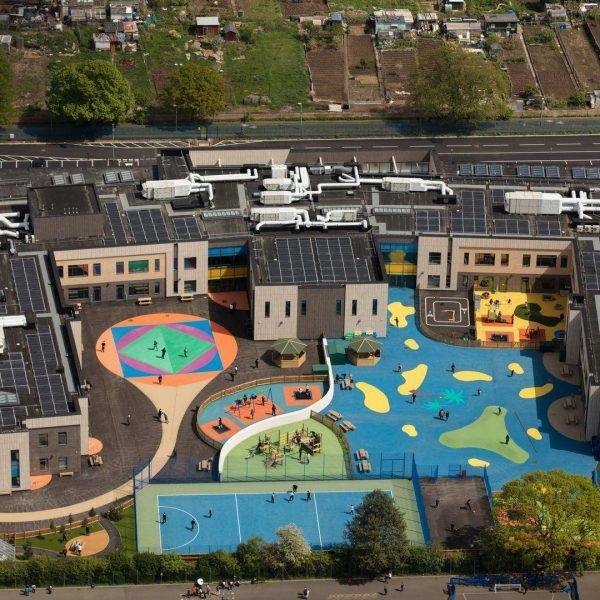 A new school was needed in Feltham for children with special educational needs, the school was built on the existing sports field within close proximity to Heathrow airport. 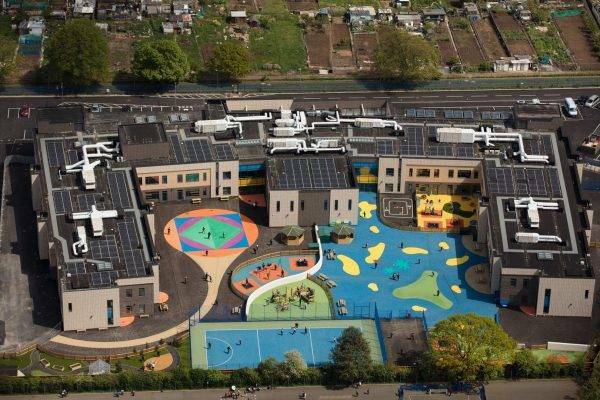 Northern Irish contractor, Farrans, won the contract to build this magnificent £30m school. Of primary concern were the external hard landscaped areas. Due to limited falls on the substrate, the surfacing needed to be porous throughout, yet remain colourful and durable. 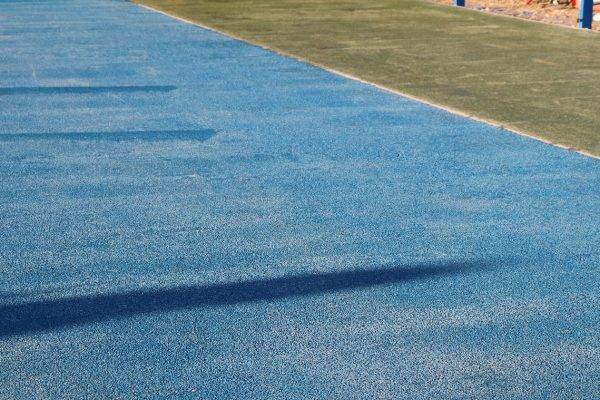 NatraTex was able to provide the cost effective solution. 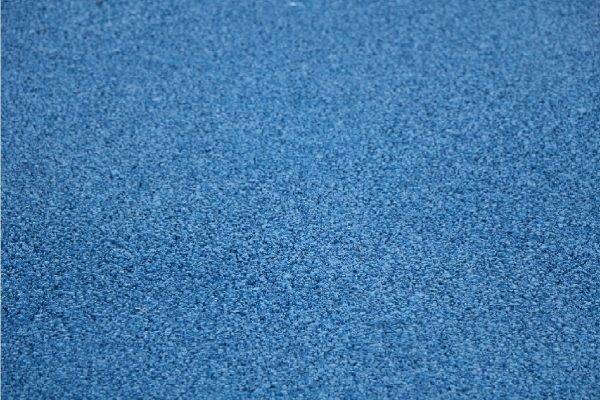 A blue surface for the playground and MUGA, a Cotswold buff surface to the footpaths and a green surround to the MUGA. All of the NatraTex products supplied were tailored to be porous. By using NatraTex, significant programme savings were made. 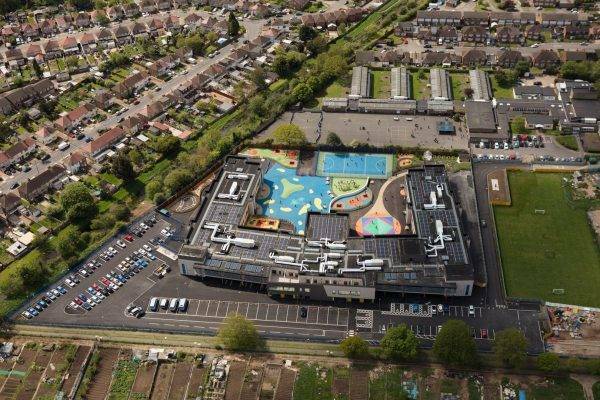 The area is free-draining and the students and staff have a durable and colourful hard landscaped area for years to come. NatraTex is manufactured, supplied and laid hot in exactly the same way as a conventional macadam. 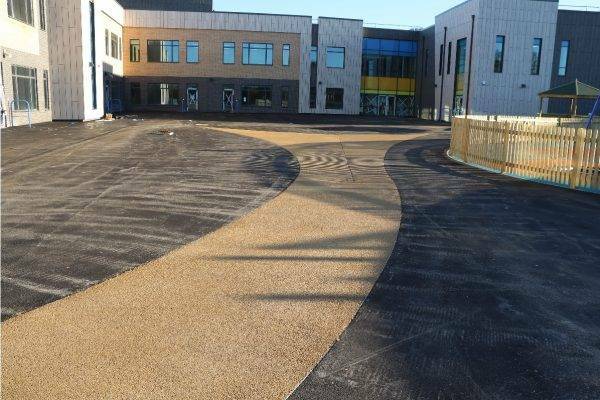 But, rather than using bitumen and a grey aggregate NatraTex uses an innovative clear binder and a complimentary coloured stone instead. 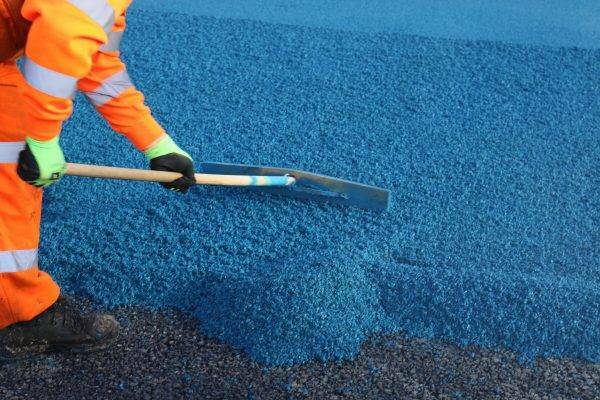 This means that NatraTex is able to offer a multitude of colours and specifications to suit any project be it park footpaths or a bus lane. To see if NatraTex Porous could benefit your project click here.